This family jumped on the latest trend of open plan, open plan, and more open plan, by creating a spacious living, dining, and kitchen area that Kevin McCloud would be jealous of. 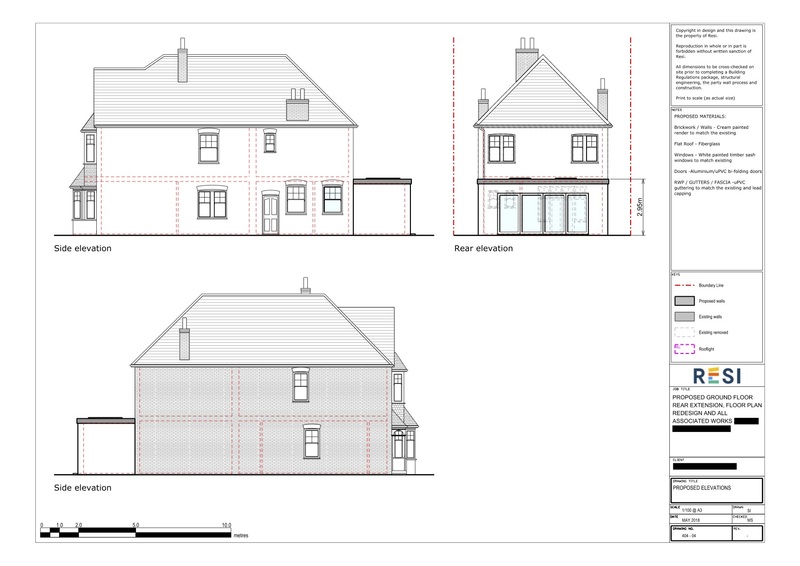 This project was carried out under a lawful development certificate (meaning the homeowners were operating under the permitted development rights), which was granted on 17th July 2018. 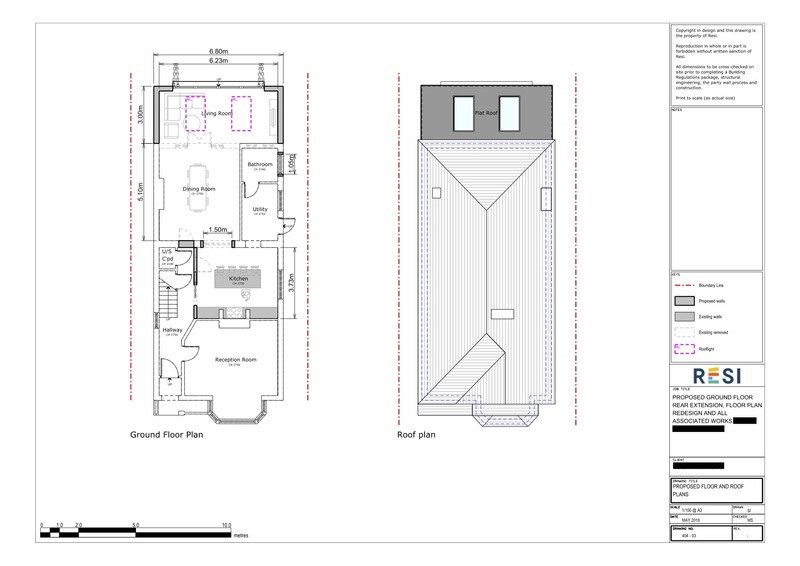 "Our client came to Resi with a vague idea of their proposed layout, but were very open to suggestions. They wanted to open up the rear of the home to create some open plan family living, which would include a small utility room. The style was to be modern, but not too minimalist. " Our client came to Resi with a vague idea of their proposed layout, but were very open to suggestions. They wanted to open up the rear of the home to create some open plan family living, which would include a small utility room. The style was to be modern, but not too minimalist. I extended the home out towards the rear, which, once the external wall was removed, provided space for an open plan living and dining room. This was fitted with two skylights and aluminium bi-fold doors, to ensure plenty of natural light filled the space. A semi open plan kitchen was designed further towards the front of the home, with a central kitchen island in order to break up the space. To make sure we stuck to budget, I left the bathroom and utility room as is, as these rooms did not need modifying. The exterior render of the whole extension was painted cream, in order to match the existing walls.